I love relaxing with a good book on my summer holiday. So here’s the list of books I’ve downloaded to my Kindle for this year’s trip to Portugal. 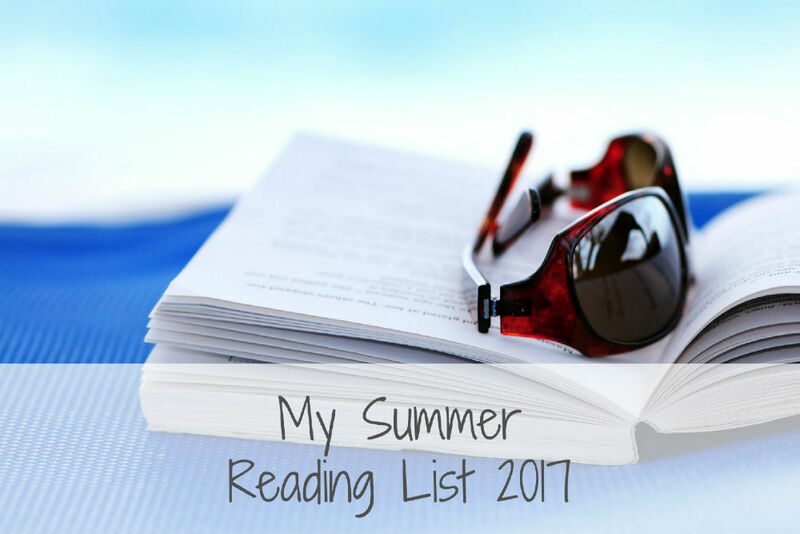 Every year I pick out a list of books that I want to read while I’m away on my main summer break. I usually get through a mass of books while I’m in Portugal, so I make sure my Kindle is well stocked before I go. The most I’ve ever read is 24 books in an 18 day break! There are a few rom-com books, because I always find them an easy relaxing read when I’m travelling. I’ve also included quite a few dystopian novels as well. It’s my favourite literary genre, and there’s something quite ironic about reading a dystopia while the sun is shining and there’s a glass of something cold by my side. This year’s list includes a couple of books that were included in my Bloggers’ Summer Reading List (and do click through to that if you’re after even more inspiration). I’ve put 9 books on this list, but I’ll also probably end up reading a few books from the bookshelf at the villa we’re renting. I’ve included links to each book in Kindle format, because that’s what I usually prefer for my summer holiday. Most of these are available in paperback as well if you prefer the feel of a real book. Scarlett has never left the tiny isle of Trisda, pining from afar for the wonder of Caraval, a once-a-year week-long performance where the audience participates in the show. Caraval is Magic. Mystery. Adventure. And for Scarlett and her beloved sister Tella it represents freedom and an escape from their ruthless, abusive father. When the sisters’ long-awaited invitations to Caraval finally arrive, it seems their dreams have come true. But no sooner have they arrived than Tella vanishes, kidnapped by the show’s mastermind organiser, Legend. Scarlett has been told that everything that happens during Caraval is only an elaborate performance. But nonetheless she quickly becomes enmeshed in a dangerous game of love, magic and heartbreak. And real or not, she must find Tella before the game is over, and her sister disappears forever. A shocking revelation has led Rosa to start over as a sous chef. The work is gruelling but it’s a distraction . . . until she comes up against the stroppy teenager next door who challenges her lifestyle choices. What if Rosa’s passion for food could lead her to more interesting places? Having followed her childhood sweetheart down south, Georgie is busily carving out a new career in journalism. Throwing herself into the city’s delights is fun, but before she knows it she’s sliding headlong into all kinds of trouble . . . Nursing a devastating loss, Charlotte just wants to keep her head down. But Margot, the glamorous older lady on the top floor, has other ideas. Like it or not, Charlotte must confront the outside world, and the possibilities it still holds. As the women find each other, hope surfaces, friendships blossom and a whole new chapter unfolds for them all. One snowy night in Toronto famous actor Arthur Leander dies on stage whilst performing the role of a lifetime. That same evening a deadly virus touches down in North America. The world will never be the same again. Twenty years later Kirsten, an actress in the Travelling Symphony, performs Shakespeare in the settlements that have grown up since the collapse. But then her newly hopeful world is threatened. When the renowned aviation hero and rabid isolationist Charles A. Lindbergh defeats Franklin Roosevelt by a landslide in the 1940 presidential election, fear invades every Jewish household in America. Not only has Lindbergh publicly blamed the Jews for pushing America towards a pointless war with Nazi Germany, but, upon taking office as the 33rd president of the United States, he negotiates a cordial ‘understanding’ with Adolf Hitler, guaranteeing peaceful relations between the two nations. What then follows is the alternative America of this startling counterfactual novel by Philip Roth, who recounts what it was like for his Newark family during the menacingly anti-Semitic years of the Lindbergh presidency. Jewish families are shaken violently apart, whilst America is oblivious to its own dark metamorphosis. Doesn’t Everyone Have a Secret? is a romantic comedy about three very different people, each with a secret, whose lives collide in unexpected ways. Next Friday – I can’t wait!! I’m in need of some new good books to sink my teeth into, particularly like the sound of The Power and The house of New Beginnings.